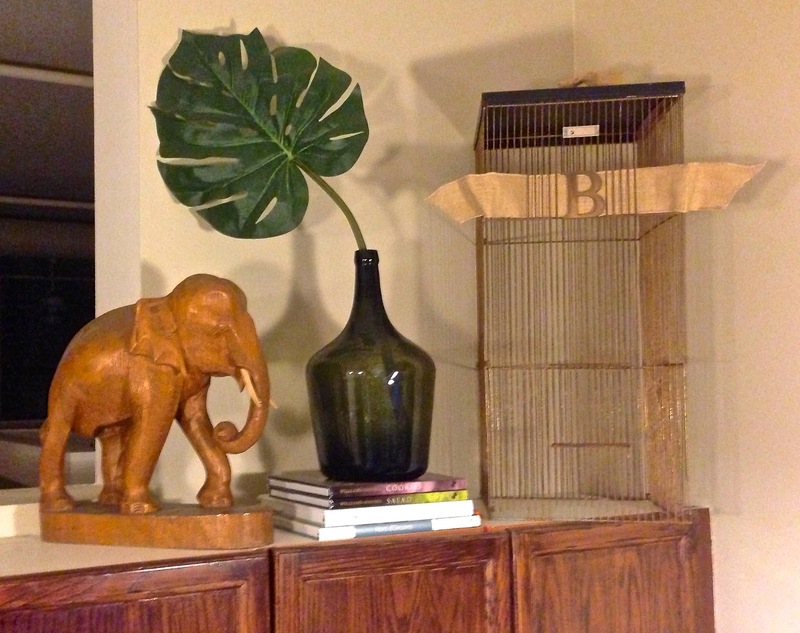 Georgia's Home Inspirations: Free the Birds, Keep the Cages! They say: "Birds of a feather flock together." I say: "Let them flock and get the heck out of their cages so I can use them to decorate!" Now, before I get into how I use birdcages to create a charming space, I want to make one thing very clear: I am not a bird fanatic, nor am I a crazy bird lady that likes to be surrounded with bird paraphernalia. 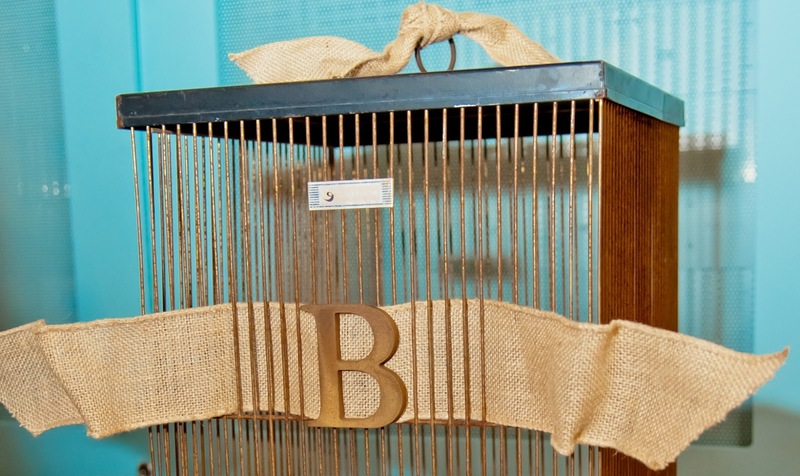 I am simply a blogger and home decorator that can appreciate the appeal of a vintage birdcage (or vintage-inspired). I would like to pause and highlight the word vintage. Regardless of the used cage's character (it could be well used with chipped paint or classic metal with just the right amount of rust), I can tell you this: a new cage from the pet store does not have the same appeal. Believe it or not, I have 2 birdcages in my home (hmm..this does not give my "I'm not a crazy bird lady" statement much credibility does it). 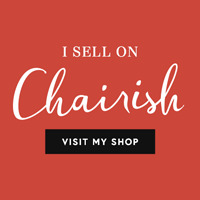 Let me tell you how I use them and, hopefully, I can inspire some great ideas in you! My large birdcage was purchased at Scott Antique Market in Atlanta, Georgia. 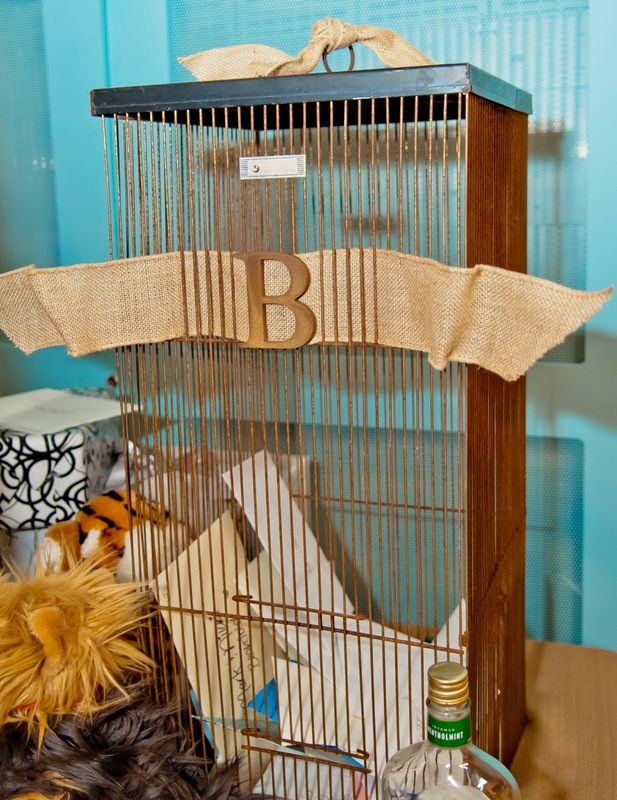 I fell in love with this cage during an antiquing trip I made in preparation for my wedding. I thought it would be a unique way to collect and display wedding cards that often stack up and slide off of gift tables. Not only was the cage vintage inspired to fit with our theme, it provided a layer of protection (ain't no one getting in to swipe a card or two). 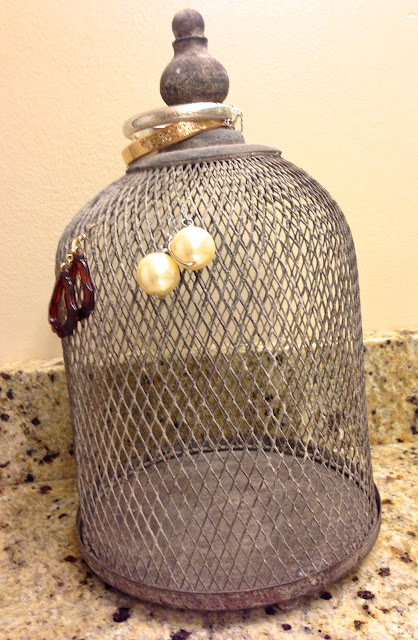 I now use the cage as part of a vignette on top of my kitchen cabinets. I've also positioned the cage on a large shelf with a stack of books displayed inside of it. I love this little guy. He is so cute and perfect on the side of my bathroom sink. Even serving no purpose at all, I love the rustic element it brings to my delicately-decorated master bathroom. But, as you all know, I like to repurpose; so I used this cage to hold my earrings, bracelets and miscellaneous jewelry. Cute and functional. Win-win! I love to decorate with old birdcages too. Got hooked while staying at a BnB in New Orleans and they had gorgeous old cages throughout the house. I have kept an eye out for them while junking ever since then.